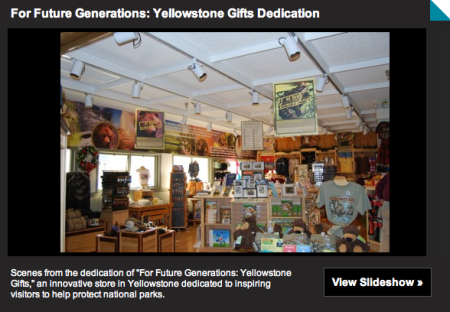 The store features an innovative approach to green retail: its sole purpose is to educate and inspire park guests to help protect national parks. 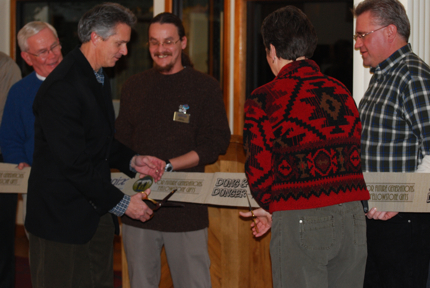 Lehnertz commended Xanterra for the depth of the company’s environmental commitment and for helping to support the mission of the National Park Service with the store’s important interpretive displays on climate change. The celebration also included a sustainable vendor fair with displays from businesses with products sold in the store and suppliers who assisted with the green remodel of the facility. After a dessert buffet that included locally made chocolate, Larry Schweiger, President and CEO of the National Wildlife Federation, gave a presentation on climate change.